You are at: Home / Agora / China's footprint in Southeast Europe: Constructing the "Balkan Silk Road"
China's footprint in Southeast Europe: Constructing the "Balkan Silk Road"
This is the first of three articles in which the author will analyze China’s investment, lending and infrastructure initiatives in Southeast Europe for Macropolis. The first contribution focuses on China’s ‘Gateway to Europe’ via the Port of Piraeus in Greece. The second contribution will look at China’s emerging footprint in neighboring countries such as Serbia, FYR Macedonia and Bosnia-Hercegovina. The final piece will place China’s activities in the region in the wider strategic context of challenges for the European Union, multilateral lenders such as the EBRD and European Investment Bank as well as Russia. President Xi Jinping’s “Belt and Road Initiative” (BRI) was officially launched in 2013. It is a Eurasian grand strategy that seeks to expand and secure maritime routes and road infrastructure networks for China from Asia across Africa to the Middle East and Europe. Beijing's vision of BRI has geo-economic implications that are potentially vast and long-term. They can shift commercial and geo-economic axes of entire continents. The “Balkan Silk Road” is the name given to the transport route and logistics corridor China has begun to establish in the Balkan region even before the official launch of the BRI two years ago. The Balkans, and by extension Southeast Europe, is a region where China can empirically test various elements of the BRI. The “gate towards Europe”, as the Chinese Prime Minister Li Keqiang termed Greece during a visit in 2014, initiates the Southeast European corridor of the Silk Road. The Belt and Road Forum for International Cooperation, which was held in Beijing on 14-15 May 2017, constituted a unique opportunity for countries participating in the Balkan Silk Road project to broaden their economic cooperation with China. Presidents or Prime Ministers from Russia, Turkey, Greece, Hungary, Poland, Serbia, the Czech Republic, Switzerland, Italy and Spain all participated in the event hosted by Chinese President Xi Jinping. At the Forum, the Chinese government signed economic and trade cooperation agreements with the 30 governments, among which are Belarus, Azerbaijan, Georgia, Armenia, Albania, Bosnia and Herzegovina, Montenegro and Serbia. The Export-Import Bank of China signed a loan agreement with the Ministry of Finance of Serbia regarding the modernization of the Hungarian-Serbian Railway Line. The level of engagement by Chinese state-owned companies, political leaders, diplomatic representations and lending institutions in Central, Eastern and Southeast Europe is gradually redefining the relationships between China and the European continent. In particular in countries comprising Southeast Europe, China is identifying trade and investment opportunities, while various EU member states regard the region primarily through the prism of political instability, refugees and migration as well as the threat of terrorism. Countries like Greece, Hungary, Albania, Montenegro, Serbia, Bosnia and Herzegovina, and Macedonia are making concessions to Chinese investors and lenders precisely because they want China to be embedded in their economies. For countries in the Balkans this embeddedness can serve as a hedge against Russian and Turkish involvement or present itself as an alternative to EU investment aspirations. Policy makers in Beijing, Tirana, Skopje, Belgrade, Sarajevo, Budapest and Athens frame the narrative as a win-win strategy in the making. They argue that their countries are opening up to China, but that at the same time China is opening up to Southeast Europe. To illustrate, China has established a new institutional geography for cooperation with the aforementioned countries. Under the umbrella of the BRI exists the “16+1” initiative. The 16+1 framework seeks to improve trade and economic relations between China and 16 countries in Central and Eastern Europe, inclusive of Southeast Europe. The participating countries are Albania, Bosnia and Herzegovina, Bulgaria, Croatia, the Czech Republic, Estonia, Hungary, Latvia, Lithuania, Macedonia, Montenegro, Poland, Romania, Serbia, the Slovak Republic and Slovenia. For countries participating in the 16+1 framework, Chinese capital and infrastructure projects represent a tempting market proposition and a potential platform for China to leverage its growing economic and political influence with the EU as a whole. According to data from the Chinese Academy of Sciences (CAS), China’s outward foreign direct investments into the 16 participating countries increased from USD 400 million in 2009 to roughly USD 3 billion in 2016. The geographical concentration is noteworthy. According to CAS, Bulgaria, the Czech Republic, Hungary, Poland, Romania and Slovakia represented 95 per cent of total Chinese FDI within the 16+1 framework in 2016. Greece is the point of entry to the region for Chinese investments under the BRI. In recent years, China has moved aggressively to invest in Greece. The details of this strategy offer an interesting lens through which to view China’s growing capabilities and ambitions in the Balkans and Central Europe. The initial investment in a container port terminal in Piraeus in October 2009 represented a milestone, marking Beijing’s expanding European ambitions, with major implications over time not only in Piraeus, but equally in neighbouring countries. The Piraeus Port Authority (PPA, Greek acronym OLP) is a formerly state-owned company established in 1930. The PPA is the largest company of Greece’s port industry. In October 2009, the Greek government of then Prime Minister Kostas Karamanlis leased half of the container port from PPA to the China Ocean Shipping Company (COSCO)  for a 35+5-year-period. The concessions contract included an upfront payment of Euro 678 million and follow-up infrastructure investments worth Euro 230 million. In August 2016, COSCO acquired 51 per cent of PPA for the price of Euro 280.5 million. The Chinese investment surge in Greece is not only the result of carefully executed economic diplomacy for which the groundwork was prepared years before in Piraeus. In December 2016, China's State Grid Corporation, the world's biggest utility, purchased a minority stake (24 per cent) in Greece's power grid operator ADMIE. This constituted China's second major investment in Greece in the course of 2016, after the acquisition of PPA. The minority stake in Greek ADMIE supplements equity funding by State Grid Corp. in Portugal (25 per cent shareholding in REN in 2012), Italy (35 per cent shareholding in CDP Reti in 2017) and Spain (bidding for German utility E.ON’s Northern Spanish grid). This approach creates a network or cluster of investments that enables State Grid Corp. to gradually establish a regional electricity grid portfolio in Europe. This development is remarkable since it contrasts with the low level of cross-border grid investments across the EU by European companies. As is increasingly becoming clear, the initial Piraeus investment served the purpose of an anchor investment that subsequently started to attract follow-up investment in sectors beyond maritime ports and container shipping. This ‘anchoring’ process is at the initial stages of realization. In the context of the BRI strategy for Greece, the priority sectors will continue to be (port) transport infrastructure, logistics and energy. But these sectors are starting to attract new Chinese investment groups such as Dalian Wanda Group Co. or Greenland Holdings Corp. which are scanning other sectors, e.g. targeting the expansion of Chinese tourism,  acquisition of commercial real estate, bidding for insurance companies and receiving operating licenses for banking services in Greece. The example of COSCO investing in the Port of Piraeus in Greece forms part of a larger strategic investment drive across Central, Eastern and Southeast Europe (CE&SEE). Apart from Piraeus, COSCO has invested in port infrastructure in Albania, Montenegro, Israel, Turkey and Egypt. In 2016, it acquired a 35 per cent stake in the Rotterdam Euromax-Terminal. What the COSCO and State Grid investment drives illustrate, is the systematic, strategically driven construction of sector-specific portfolios and linking up these assets across a larger region, i.e. southeast Europe. See “China Launches $11 billion Fund for Central, Eastern Europe”, https://www.reuters.com/article/us-china-eastern-europe-fund-idUSKBN13105N. Jens Bastian, “China-Greece: One Belt, One Road?”, Macropolis, 29.04.2015, http://www.macropolis.gr/?i=portal.en.the-agora.2470&itemId=2470. 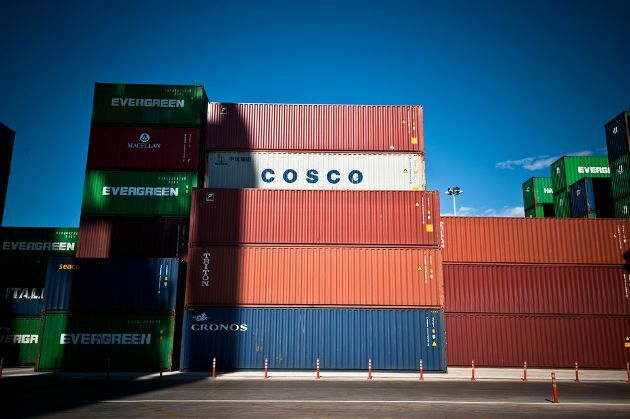 COSCO Shipping is the owner of the world's fourth largest container fleet. The bilateral agreement was signed in Athens in November 2008 and became operational in October 2009. For 2013 and 2014 data see Eurostat news release: 116/2015 26. June 2015 http://ec.europa.eu/eurostat/documents/2995521/6893875/6-26062015-AP-EN.pdf/44d4c87c-98dd-4061-bdf6-b292884a5073. For 2015 data see: http://atlas.media.mit.edu/en/profile/country/grc/. Last year 150,000 Chinese tourists visited Greece, while three million Chinese visited Italy. Since end-September 2017, Air China commenced two weekly direct flights between Beijing and Athens. Greece needs to disengage of everything german and reattach itself in winning compos involving the USA, China, Israel and the U.K. The fact that more than 60% of Chinese maritime commerce is conducted through Greek-owned ships, tells you anything you need to know about the port of Piraeus and the presence of COSCO which is very welcomed indeed. There is no such thing as a "Balkan silk road". All the countries of the peninsula of Haemus are poor countries and therefore irrelevant in terms of Chinese commerce. Therefore, they only represent pass-through territory. Greece and its railway connectivity to Eastern Europe is a much better way for Chinese products to enter Europe, away from the German claws and the deliberate interference in slowing down Chinese sales to Europe, a game in which Brussels and Berlin are fully engaged. The Chinese are smart people and so are the Greeks.